Click here to purchase instant gift certificates that can be printed at home or emailed directly to the git recipient! Integrative Therapeutic Massage (ITM) allows you to simply pick the amount of time you prefer for your service. The day of your massage your therapist will discuss privately how to best meet your goals that day. Your session choices include 30, 60, 90 or 120 minutes. ITM includes your choice of a deeper, more specific or a relaxing approach. 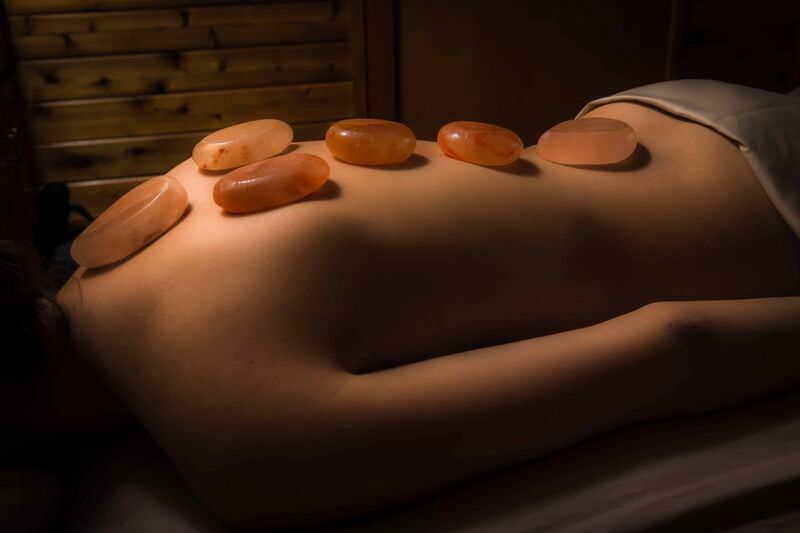 We integrate essential oils and Himalayan salt stones upon request to help warm your tense or sore muscles. Whether you're on a romantic getaway or simply treating yourself to special night with your loved one, a couples massage is a great way to relax and rejuvenate the both of you! Despite the suggestive name, couples massages aren't just for couples -- friends and family members can also enjoy this experience together. TRE® (Tension Releasing Exercise) Private and group sessions are an effective way to help your body release built up stress that affects your daily life. In our busy culture so many people carry around stress that lies deep in our muscles and can lead to long term physical and psychological damage. TRE® is a natural way to release held tension patterns. Please see TRE® page for pricing information. Please call (804)-693-9000 to schedule a private or group class. *This service will heat your core temperature and should not be received if you have a loss of sensation due to any condition, have an inflamed skin disorder or if you are pregnant. Compassionate Touch® is an evidence-based approach combining skilled touch with compassionate presence to enhance quality of life for those in later life stages. This service may be offered in your home, hospital, skilled nursing/retirement communities or in the hospice environment. Ginger Platsis, LMT, will travel to where you or your loved one resides in order to offer a tender touch, bringing comfort in later life stages. Ginger Peer-Spencer, LMT offers coach training relating to dementia. Visit the Age-u-cate tab listed above for more information.